Readers, here's another debut author with an interesting YA book. Welcome, Diana. Tell us how much of yourself you write into your characters. I don’t intentionally write myself into my characters, but I don’t think it’s possible to effectively create characters with whom I have nothing in common. The commonality is often below the surface, in their deep emotional battles. I haven’t struggled with anorexia, like my character, Stacey. Much of my understanding of her eating disorder came from my research. Yet at the core of Stacey’s personality are profound emotions and self-esteem issues that I have experienced—especially in my own teenage years. My connection with Calvin is like that as well, although there are more surface things I have in common with him. Like Calvin, I ride a motorcycle! I also grew up three brothers, so I feel I have a good grasp on writing the male perspective … and on what it’s like to grow up in a large family. Recently, I lost one of my brothers to brain cancer. That loss connects me to Calvin’s grief and inner turmoil. How does one get on with life when the grief is just a single thought away? Thus, the experiences I’ve had help me to understand what my characters are going through, even if their situations are not the same in context. I’ve written stories my whole life, and finished a novel when I was thirteen. (A teen drama story which, of course, wasn’t very good!) But my early career aspirations shifted between being an artist or a musician. After fifteen years working as a secretary and playing the drums at night, I finally went to college to study art and earned a BFA. Then I spent several years pursuing a career in science fiction/fantasy illustration while I worked a day job doing computer graphics for business. I never strayed from writing, however. And I have stashed away several epic elf novels that will never again see the light of day because they were various stages of my learning curve. Eight years ago, however, after a prayer concerning my daughter and the teen world she was about to enter, I came back to young adult fiction and started writing with the intent of getting published. The writing became imperative for me because it wasn’t just to satisfy my own creative impulses, but to reach teens with stories that would be meaningful to them. I’ll read just about any genre of fiction, but I prefer character-driven novels. I read a lot of young adult fiction and mostly love the stories with strong coming-of-age arcs. I think one of the things I really like about YA fiction, both reading and writing it, is that the characters are allowed to make mistakes. There’s a kind of freedom in that, even when there are consequences to be paid. The characters are finding out who they are and they’re able to redefine themselves a lot easier than adult characters might be. I also enjoy women’s fiction and chick lit, especially when the characters are quirky, not fitting into the norm of society. My most recent favorite series is by Nancy Rue, starting with The Reluctant Prophet. Not just because the main character rides a motorcycle, like me, but because of her out-of-the-box response to the world around her. And Nancy’s narrative voice is so distinct and wonderful! I’ve found my favorite place in the whole world right on the front porch of the house in the country my husband and I just purchased. I’ve got a swing, a gentle sunrise, a chat with God, a glass of something cool to drink, and a book to read … I’m good. When I need to blow out the stress or cobwebs, though, I’ll take a ride on my Harley with no destination in mind. Just to feel the wind in my face and a sense of freedom that I can’t achieve on four wheels with a metal cage around me. With some basic characteristics in mind, I might look through a list of baby names until something sticks. I might look up the meaning of that name to see if it meshes with the character I’m envisioning. More often a name just comes to me. Recently, however, I realized that some of the character names in Running Lean were actually my sister’s children and grandson! I have no idea why that didn’t occur to me before! But if it had, I would have changed the names … and I’m happy I didn’t do that. Stacey name suits her, as do those of Calvin’s little brothers, even though all three personalities are quite different from their namesakes. My daughter. I know that sounds cliché, but she is my greatest source of pride. She’s a dancer, and her accomplishments are due entirely to her own efforts and hard work. But my husband and I did do the driving and pay the bills, and we encouraged her all the time to do the one thing she loved most, not what might make her the most money or be the most responsible career in the eyes of critical society. I spent too many years working jobs that I hated in order to get by, putting off my own talents and desires for the sake of a paycheck, that I feel like now I’m trying to catch up with what my life should have been. I didn’t want my daughter to feel that way too. A horse! Although I’ve always lived with cats and dogs and never owned a horse, they’re such magnificent, spirited creatures and, I believe, a gift from God. Why else would such a powerful animal allow a man to sit on its back? Maybe that’s one of the reasons I like riding a motorcycle, which is sometimes called an iron horse. Power and freedom, and the wind in my face. Watermelon! No salt, please, and don’t bother cutting it up. Just give me a spoon. I love watermelon, and I mean the way God created it, not covered with salt either. What is the problem with writing that was your greatest roadblock, and how did you overcome it? This is a tough question because I can’t recall one particular thing that gave me more trouble than anything else. I’m still learning, and I enjoy exploring the craft of writing. I hope I’ll never get to the point where I think, I’ve arrived! because that’s the moment when I’ll start to stagnate. However, there is one aspect of publishing that I’m struggling with, and that’s marketing. Now that I have my first published novel, I feel like I’m being thrown into on-the-job training for an entirely new career. I know it’s not going to be something I love, like writing or painting or playing the drums, but I’ll have to pound away at it with as much enthusiasm as I can muster, because marketing my first novel is what is going to help me have a second. 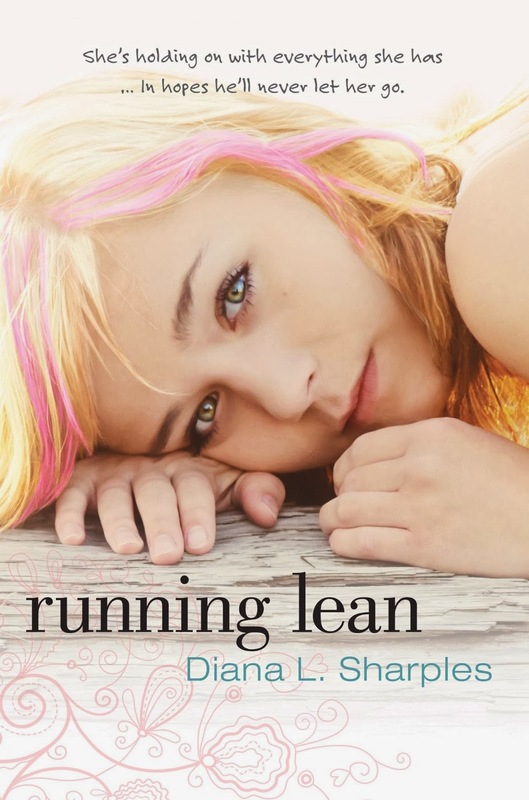 Running Lean is the story of two teens in rural North Carolina, whose relationship is solidified after Calvin’s brother dies in Afghanistan, but is challenged when he discovers his girlfriend’s strange diet is actually an eating disorder. Because Calvin can’t face losing someone else he loves, he is determined to fix the problem. What he finds out is that fixing the problem could actually destroy their relationship. Giving in could cost Stacey her life. This story is not just about a girl suffering with anorexia, but about her boyfriend and how he copes with watching someone he loves slowly starve herself. Calvin is the protagonist in the story, and even though Stacey is his girlfriend, she is almost an antagonist—or more specifically, her disorder is the source of the conflict. There are many excellent books on the market about people living with eating disorders, but very few that focus on the other people who love them. I feel there’s a lot of misunderstandings about eating disorders, especially among teenagers, and it’s my hope that this book will give readers insight into the deeper reasons for EDs and what a friend or sibling might do (or what they shouldn’t do!) to comfort a person facing this struggle. 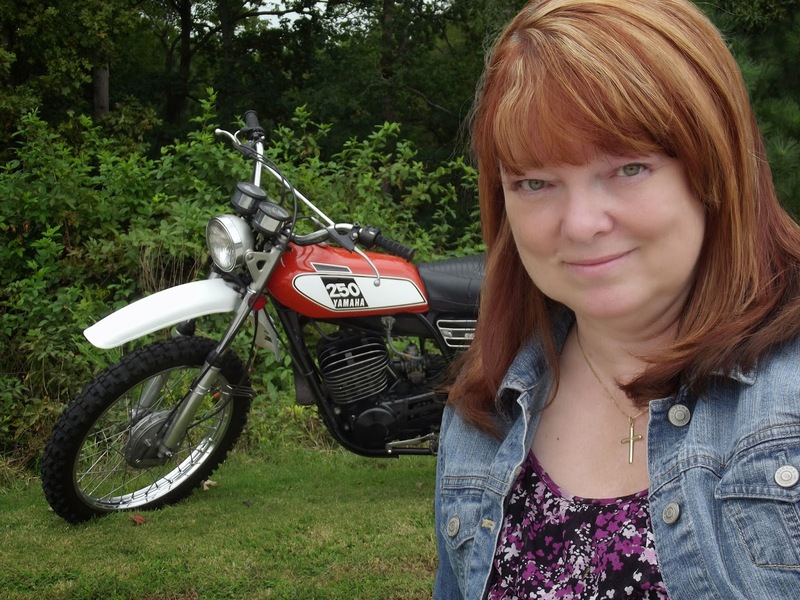 The title, Running Lean, is an automotive term referring to the mixture of fuel and air in a carburetor—specifically in an older engine like Calvin’s vintage motorcycle. It’s an easy metaphor for Stacey’s eating disorder. Additionally, I’ve used it as a metaphor for the spiritual battle both characters face, as they try to take control of their own problems without turning to God for strength, comfort, and answers. Running lean, if not repaired, leads to overheating, stumbling and stuttering, stalling out, and eventually to seizing up and dying. Twisting this around, Calvin’s old motorcycle in the story actually becomes a metaphor for the physical, emotional, and spiritual struggles he and Stacey are facing. That flag—folded in a triangle, framed in a box, and displayed on the mantle—drew Calvin’s eyes like an intruder in the room. He stalled halfway down the steps to the living room. Calvin stared. Not out of reverence for a fallen American hero. It just freakin’ hurt. Six months after they’d brought his brother’s body home in a casket, that star-spangled fabric could still smack Calvin in the chest like a fall off his motorcycle. “Hey, move it. Some of us have to catch the bus, you know.” His younger sister, Lizzie, wedged herself between him and the wall. She bumped the helmet in his hand and broke the flag’s spell. Calvin thundered the rest of the way downstairs behind her. “Get it together,” he muttered to himself. He could find a way to walk past that stupid flag without choking on a gob of grief. While Lizzie escaped out the front door, Calvin followed the worn path in the shag carpet toward the kitchen. In a corner of the dining room, a computer sat on a desk barely big enough to hold it. Family photos faded in and out on the monitor. Calvin’s feet scuffed, shifted that way. No time to check his Facebook page again. He’d have to deal with a day without one of his girlfriend’s quirky poetic messages or funny good-morning images. He could do this thing. 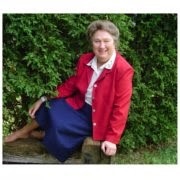 My website is www.dianasharples.com. You can also find me on Facebook and Twitter by searching for my name. 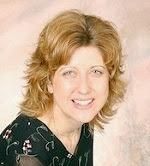 Zondervan has set up a website for their Blink line of young adult books at, www.blinkyabooks.com. Thank you, Diana, for sharing this new book with us today. Amy C (VA) is the winner of Arkansas Weddings by Shannon Vannatter. Barbara T (LA) is the winner of Before the Dawn and Sweet September by Kathleen Bauer. Koalasue45 (NC) is the winner of The Promise by Dan Walsh. Norma (OH) is the winner of A Little Bit of Charm by Mary Ellis. 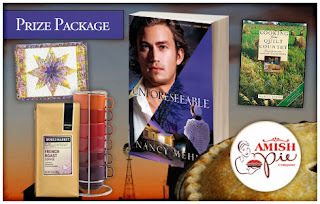 Melody (TX) is the winner of Beloved by Robin Lee Hatcher. Cindy (IN) is the winner of Broken Wings by Dianne Price. Bio: Melanie Dobson is the author of twelve novels; her writing has received numerous accolades including two Carol Awards. Melanie worked in public relations for fifteen years before she began writing fiction full-time. Born and raised in the Midwest, she now resides with her husband and two daughters in Oregon. Every novel has a different spiritual theme, but I love to write about characters who sacrifice their lives for other people and those who have a sense of wonder and awe about God and His creation. Last March I headed to Normandy to research for my next book, a novel called Château of Secrets that slips between World War II and the present day. Château of Secrets comes out in May and I’m also working on a novella for a Christmas collection that releases next fall. My dear friend, Tosha Williams. Tosha and I met in college almost twenty-five years ago, and her friendship is a treasure to me. We live more than a thousand miles away now, and it would be such a treat to spend an entire evening with her, talking about our writing and families and all that God is teaching us. I would love to meet Mary, the mother of Jesus, and hear the story of his life and death and ultimately resurrection from her perspective. Also, as the mom of two girls, I really want to know what it was like to parent the Son of God! When I first began writing fiction, I wrote four novels in seven years. During those seven years, I received consistent rejections from both publishers and agents, but I felt like God had called me to write. Because of my love of writing and out of pure obedience to this call, I continued pursuing it in spite of all the rejections (which were super hard to read). This season was hard, but it was also really good as I learned the craft. Those seven years in the desert prepared me well for the later years of writing novels on short deadlines. God often uses our writing in ways we can’t imagine, and I would encourage unpublished writers to pray for guidance and direction (i.e. James 1). I love to learn, and the beauty of novel writing is that there is always something new to learn. I also would encourage those wanting to be published to keep writing as they continue growing in their skills as a novelist. The Courier of Caswell Hall is about a woman who becomes a courier and ultimately a spy for the Patriots during the American Revolution. 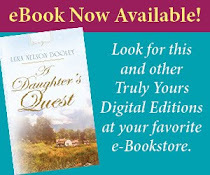 Lydia Caswell comes from a family of staunch Loyalists, but when she rescues a wounded man on the riverbank near her family’s plantation, she begins to question her loyalties. As both armies gather near Williamsburg for a pivotal battle, both Lydia and her dear friend Sarah must decide how high a price they are willing to pay for freedom—and to help the men they love. Glittering trails of firelight illuminated the champagne in Lydia’s glass. Leaning back against a sandstone column, her stiff fingers curled over the worn crook of her cane, Lydia sipped the Veuve Clicquot from its gold-encrusted pool. The warmth from her drink fought off the coolness that stole through her silk gown and gloves. Hundreds of guests gathered on the north lawn of the white President’s Palace as another round of red-and-blue fireworks rocketed through the night, but only one of the guests interested her. Lydia scanned the shadowed faces of cabinet members and representatives from across the States, searching in vain for their country’s secretary of state. The echoing boom rattled her bones, and the crowd cheered as shards of light cascaded over the grass. “Jubilee of Freedom”—that’s what John Quincy Adams, president of their United States, called this day, but the celebration in Lydia’s heart blended with her memories, jubilation fading away like the fireworks in the darkness. Would their country remember the sacrifices the men and women of the colonies had made as well as their triumphs? She took another sip, looking again for the distinguished secretary. Fifty years had passed since their country had declared its independence from Great Britain—and almost fifty years since the man who became the country’s secretary of state turned her and her family upside down. I love to connect with my readers! 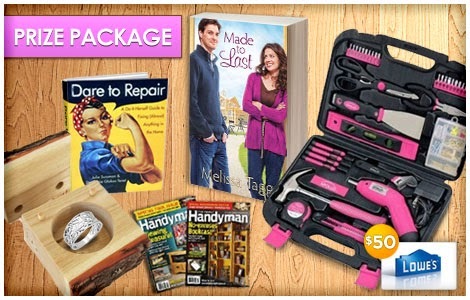 My website is www.melaniedobson.com. 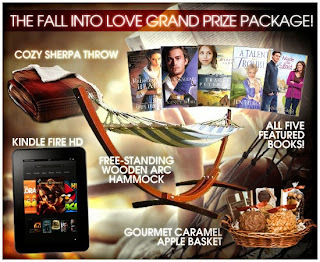 Announcing the FALL INTO LOVE (link to: http://www.fallintolovecontest.com) ultimate giveaway! 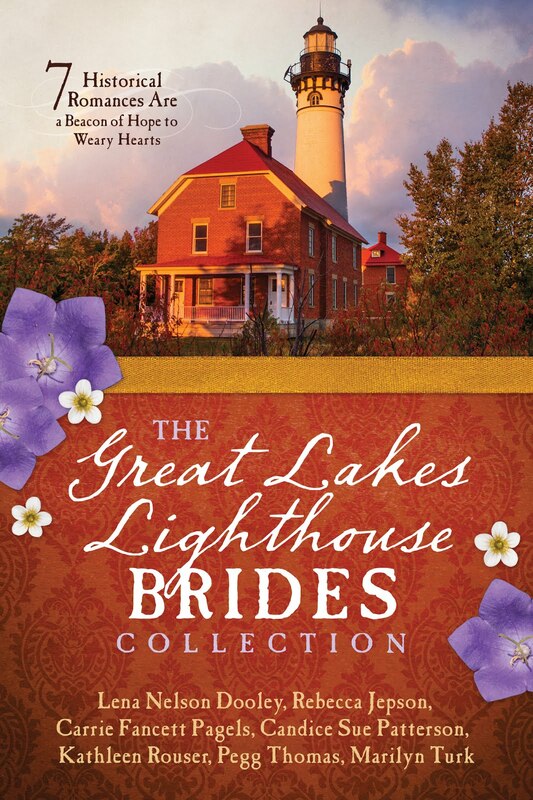 Join us as award-winning authors Tracie Peterson, Jody Hedlund, Nancy Mehl, Melissa Tagg, and Jen Turano take us on a journey for love in their upcoming novels. 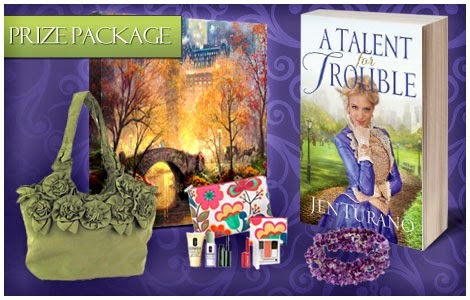 To celebrate the September/October book releases, we're hosting FIVE incredible giveaways with ONE fantastic grand prize drawing. Enter all five contests and receive FIVE entries into the grand prize drawing with additional chances to enter the FALL INTO LOVE ultimate giveaway throughout the month of September! 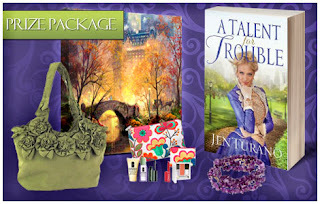 • A copy of each novel represented (Unforeseeable by Nancy Mehl (link to: http://fallintolovecontest.com/unforeseeable.html), Rebellious Heart by Jody Hedlund (link to: http://fallintolovecontest.com/rebellious-heart.html), A Talent for Trouble by Jen Turano (link to: http://fallintolovecontest.com/made-to-last.html), The Miner's Lady by Tracie Peterson (link to: http://fallintolovecontest.com/the-miners-lady.html), and Made to Last by Melissa Tagg (link to: http://fallintolovecontest.com/made-to-last.html)). 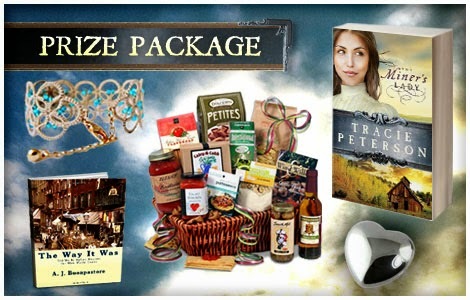 FIVE INDIVIDUAL PRIZE PACKAGES! Fall into love with these beautiful stories from 5 amazing authors, and enter each contest for your chance to take home a meaningful part of their story. To learn more about each novel and to enter visit www.FallIntoLoveContest.com (link to: http://www.fallintolovecontest.com). Click on one of the banners or visit www.FallIntoLoveContest.com (link to: http://www.fallintolovecontest.com) to submit your information. Each week during the five-week contest, we will reveal a new method of entering and increasing your chances for the grand prize. To enter via the methods available week 2-5, visit each individual giveaway and submit your information through the entry form. Follow the prompts for completing your bonus entries. **Reviews can be submitted to Amazon (link to: http://www.amazon.com), Goodreads (link to: http://www.goodreads.com), or your own blog. To enter the contest via this method, paste a URL to the review in the entry form where indicated. Entries will be verified before final grand prize drawing. For details about the contest, prize packages, entry methods, or contest rules, visit www.FallIntoLoveContest.com (link to: http://www.fallintolovecontest.com). 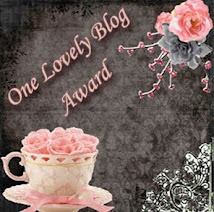 Readers, I love having my friend Mary Connealy on the blog. And we both just got home a week ago from attending the American Christian Fiction Writers national conference in Indianapolis. I got to visit with Mary and her cowboy husband. That was a special treat. I've read Fired Up, and it's a wonderful, funny read. I highly recommend it. Bio: Mary Connealy writes fun and lively "romantic comedy with cowboys" for the inspirational market. She is the author of the successful Kincaid Brides, Lassoed in Texas, Montana Marriages, and Sophie's Daughters series, and she has been a finalist for a Rita and Christy Award and a two time winner of the Carol Award. She lives on a ranch in eastern Nebraska with her husband, Ivan, and has four grown daughters. Welcome, Mary. Tell us a little about yourself and your background. I’m a rural Nebraska girl born and raised. I live ten miles from the house I grew up in. I married my high school sweetheart. I lived in a small country farm/ranch house for the first twelve years of my marriage. Then we (my husband, four daughters and I) bought a house with the exact same floor plan as the house we were living in (built by brothers 90 years ago) and moved a quarter mile down the hill. We have lived there now for 22 years. By the way, Lena … that is NOT as exciting as it sounds, so try and remain calm. You know, I ask myself that question a lot, Lena. Only what I wonder is, “What were you thinking?” I guess I kind of know what made me write “…It was a dark and stormy night…” for the first time. I had a friend who was writing a book. My ten-year-old daughter wrote a really short book I thought was really good, and I asked if I could take it and lengthen it. She said, “Write your own book and leave mine alone.” The combination started me off, well, the combination of that, my baby going to kindergarten and taking with her my last excuse for not having time to clean the house. But in the end, whatever made me START, the truth is, I liked it. It suited me. It was fun, and once I started I didn’t want to stop. I am married to my very own romance cowboy hero, and I’ve always lived in the country. I think I bring a lot of authenticity to my books. Also, I’ve watched every John Wayne movie ever made … ten times. Let’s face it, that makes me an expert on cowboys. The real “Trouble in Texas” in Fired Up is Glynna’s son. He can’t forgive the men who hurt his mother, and he is carrying around this burden of anger and hate and it spills over to everyone in his life. Paul has to forgive. When Dare tells him this, Paul asks, “How do you forgive a man who, if you said the words, ‘I forgive you’ to him, he’d spit in your face?” And who can no more be trusted after forgiveness than before. I think that’s a question a lot of us ask. Oh, not really. If anyone learns anything from me, it’ll probably be by accident. I just hope they have fun reading my book. Well, gosh, Lena, I think I invented my own genre for the exact reason—so no one’s books are similar. 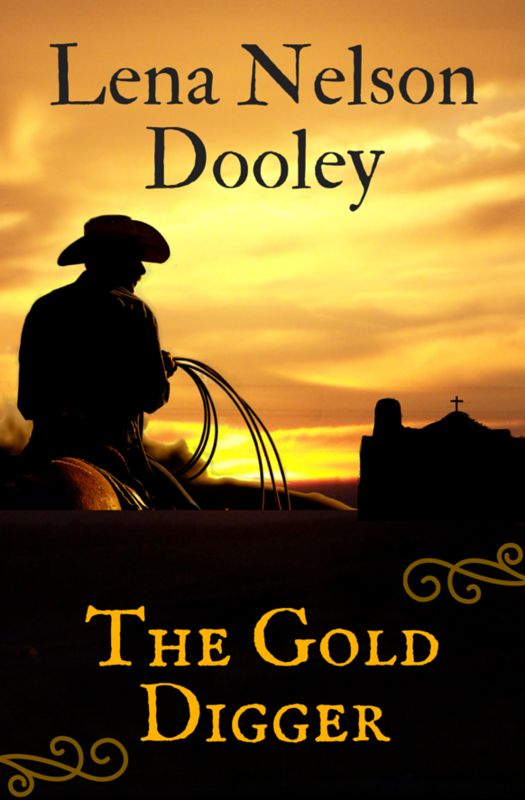 Inspirational, suspenseful, historical-western romantic-comedy. Just writing down the whole genre is almost book length! I love to write, and I refuse to write something I will then show to the whole world that is in opposition to the way I believe and the standards I try to teach my children. How could I do that? All those years I was writing while my children were growing up, I just couldn’t find any honor in saying one thing to my four daughters and typing something else into a document I hoped to sell and spread all over—that seems crazy to me. I so agree with you. Do you have a favorite Scripture verse? Yes, but different ones become my favorites depending on where I’m reading in the Bible and where I am in life. In Fired Up, when Dare is talking to about forgiveness (with Paul listening in) he tells someone (wow, I can’t say much without giving a lot away) that Jesus asked God to forgive the men who were crucifying him. And this someone says something like “God couldn’t have loved his son very much if he forgave such a thing.” And Dare references Matthew 27, the part right after Jesus died: “there was an earthquake, and rocks split and graves opened; and dead men arose and appeared unto many.” Then Dare says, “I reckon God was mighty upset to do all that, but He forgave them anyway.” So I’ve been remembering that when I think I’ve got a lot to forgive, just how enraged God was and how heartbroken and how forgiving. Mary, that’s a profound statement. When you are not writing, what do you like to do? Do you have any hobbies? Well, I read mainly (I know, sedentary! Like it’d kill me to take a walk once in a while), and I’ve got two spectacular grandchildren. They are the most beautiful grandchildren ever born. That’s not prejudice. It’s just fact. That they are mine is just one of those wonderful strokes of good luck. My family has a boat and we go boating on the Missouri River, and I love that mainly because my daughter comes up a lot, and I love spending time with them. We bought the boat as bait to lure them home, and they’ve all totally fallen for it. I always love being on your blog, Lena. Thanks for having me! And I always love to hear your answers. Tell us about the book. Readers, here's another debut author. Welcome, Carole. Tell us how much of yourself you write into your characters. I love writing some of my likes and interests into my characters. For example, I love to bake and love to discover new healthy recipes. In The Redemption of Caralynne Hayman, Cara is a great cook and baker. It comes natural to her and because she loves her daughters so much, she enjoys providing healthy foods for them. Oh, my, I don’t know. We’ve experienced so many things it’s hard to pick one. Hmmm, maybe having the chance to try fried sheeps’ intestines. They’re a delicacy in New Mexico. One can only hope they’ve been washed very well! The first time I remember writing anything creative was in the sixth grade. We were assigned to write a week-long journal of a caveman’s family. Wish I still had that, although I probably wouldn’t be sharing it with anyone. 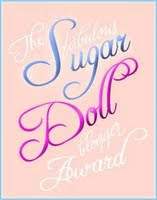 I love romance novels that make me feel satisfied, laugh, cry, or relate. But my very favorite genre is suspense/thrillers/mysteries. I enjoy true to the world stories that deal with appropriate subjects from our world. Handled tactfully and well, they help make us aware of the true state of certain situations. God and my husband. As I’ve grown older, I love simplicity more and more. Although I still have tense and stressful days, I try to lean on God’s strength and realize He knows my future. Without Him I can not make it. And my husband is such a strong person, and wise. I can talk with him about most things. He’s a steady influence in my emotional world. I use baby books a lot. I go through them looking for names that fit and feel right for the character. Sometimes it’s not a name I’m particularly fond of, but as a character name, it works and grows on me. Other than getting my first traditional writing contract? We’ve lived an adventurous and exciting fulfilled life. We’ve traveled a lot, seen a lot of things, experienced a lot, but having two sons who still love and respect us is saying a lot in my book. Getting three grandsons means the world to me! I love dogs, but would probably be more of a cat in that I love to snuggle. I love hugging my family and friends and feel like I’m purring with contentment when I’m having a good time around them. This is another hard one for me. I love GOOD food. I enjoy going to a nice restaurant, but I also love homemade cooking. Vegetables and fruits are high on our list. Well-prepared fried chicken, stir fry, potatoes (all kinds), excellent cheesecake, brownies, and ice cream. The list could to on and on. When I got back into writing as a serious career, I went into it thinking I would get that contract, win those awards right away. I found out quickly, and rather abruptly, how much I needed to learn and relearn. Fortunately, I’m stubborn enough to go the long haul and kept at it. It hasn’t been easy and it has been discouraging at times, but the reward is wonderful! I can thank my husband for the idea. We like to follow news items that catch our attention. A while back the cult news in Texas was prominent, and Dan—my husband—began a what if session with me. It seemed like a tough topic, but he was there with me throughout the whole time. We added a twist to the old cult-thing with a spunky rebellious woman who prevailed in spite of circumstances. How far would YOU go to avenge the murder of your daughter? Can Cara overcome the feelings that have governed her most of her life? Can she learn to trust Dayne, and most of all a God whom she sees as uncaring—if he’s really there at all? Only Dayne’s prayers and love can reach Cara and show her the way to redemption. This sounds like a very interesting book. Please give us the first page. The shadow creatures on the wall shook their wings and legs. Heads with horns nodded. Scary, dark faces watched. The little girl clasped her floppy-eared rabbit against her chest and stared into the dark. “Mmm …” Mommy’s murmur reached to her through the walls, and the giggles from her mother tiptoed in, shooing away the fear. Ramsey said nothing. She ran her fingers over his face and could feel his black button eyes staring at her, trusting her to protect him. “And she’ll read to us, and I’ll sit on her lap and we’ll snuggle—all of us together.” She nodded and tugged on Ramsey’s left ear. Real live whispers and laughter floated into the room. “Mommy?” The little girl frowned but her eyes wouldn’t open. Just like when she and Mommy put cucumbers slices on their eyes. Rubbing at her eyes, the little girl sat up. Mommy had never sounded like this before, and neither had any of the men—the men who brought flowers and candy and money. Thank you, Carole, for sharing this book with us. Readers, here’s a link to pre-order the book. By using it when you order, you help support this blog. Readers, I first met Leanna when we were both members of the same chapter of Romance Writers of America. We've been friends since then. Welcome back, Leanna. How did you come up with the idea for this story? Hi, Lena! Thanks for having me here today! It all started with a joke. Seriously. I was signing books at a multi-author event and the biggest sellers were the vampire and Amish books, so I told a friend of mine we should write an Amish/vampire story. We laughed. But we didn’t take it seriously. However, a seed was planted in my brain and soon a character was rattling around in there, poking me, trying to tell me his story. And like most characters, he wouldn’t be quiet. This was not a series I wanted to write and I tried to not write it for a long time. I prayed for over two years about this story, asking if God wanted me to write it, and he confirmed in multiple ways that I was to do so. Plain Fear reminded me of Phantom of the Opera, which I’m a huge fan of, both the book and musical. Christine is naïve and young and she opens her mind to a dark force. There’s a line in the musical that resonates: “I gave my mind blindly.” And that is exactly what Hannah, the heroine in the first book of the series, did. For this series, I wanted to show how alluring evil really is. Evil doesn’t look scary at first. It’s appealing. Satan doesn’t appear to us with a forked tongue or horns and pitchfork. He was the most beautiful angel, the worship leader in the heavenly realms. But he fell. He became the father of lies. He distorts the truth and draws us toward evil and sin with promises and appealing whispers. It’s why my story needed someone innocent of this world, like an Amish girl, so I could show how easily we are deceived. By the end of the series, in the last book, Forgiven, the reader sees spiritual warfare in action. How fun! 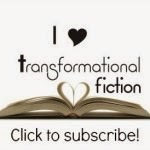 Let’s see…there are some really interesting folks in Christian fiction. We might need to add a few more than six. One of my favorites is my best friend, Dorothy Love. We never get to see each other much, so I would have to work hard not to talk to only her during the party. She is an amazing writer of historical fiction and a sweetheart. 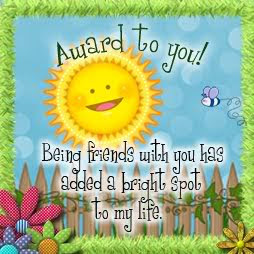 Another dear friend, Shelley Shepard Gray, is one of the most gracious people I know. One of the first writers to welcome me into the CBA and become a friend is Rachel Hauck. She is wonderful! I’d also want to invite Liz Curtis Higgs. I have only met her once, and I’m sure she wouldn’t remember me, but she is a hoot and just a joy to be around. Another very entertaining author is James Scott Bell. And don’t forget James Rubart! Both men are terrific writers and such fun! Oh my, I’m at my limit, but there are too many wonderful folks who are writing such wonderful stories. I think we need to throw open the doors and invite everyone who is writing Christian fiction, even those who are Christians and yet (like me) who might write in the secular world. Those writers are really on the battlefield, like missionaries, and need our love and support. 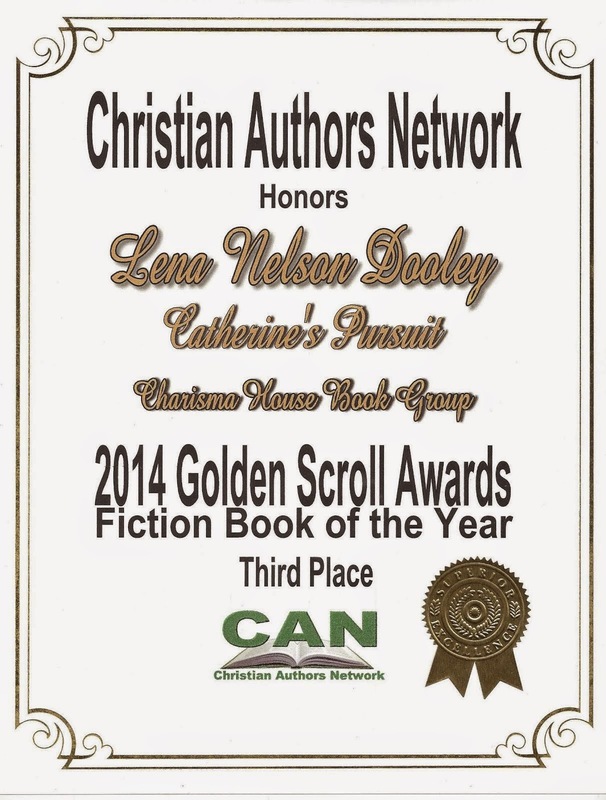 So come on, if you’re a Christian and a writer, let’s party! Lena, you’ll have to name the time and place, all right? Oh, oops! I skipped right over ‘contemporary’ in the last question and included everyone. I still say we need a really big party! No segregating contemporary from historical, ABA from CBA. I like your ideas about the party. We’ve just had the American Christian Fiction Writers national conference, and that’s the biggest collection of Christian authors, of all genres, I’ve been with. 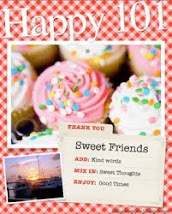 It’s like a big party to me, seeing so many friends face to face, that we only see once a year. Now another question, many times, people (and other authors) think you have it made with so many books published. What is your most difficult problem with writing at this time in your career? Writing is plain hard work. Any time. For me, it’s always a matter of finding the time. I have two very active teenagers, an 82-year-old mom who now lives six minutes away, and there is always something to do or somewhere to be. So it’s a matter of finding time consistently. But the same is true for so many areas of our life. It’s actually a very exciting time in publishing with Indie publishing taking off. And I am looking forward to experimenting with that myself. I’ve Indie published, as ebooks, several of my backlist titles that the rights have reverted to me. I enjoyed doing that. Tell us about the featured book. PLAIN FEAR: FORGIVEN is about Samuel Fisher, who committed a sin of biblical proportions—he killed his own brother, Jacob. Samuel’s guilt overwhelms him as he struggles to understand the choices Jacob made which led to his death. Haunted by doubts and questions, Samuel starts down the same dark path of destruction. In the gripping final battle between hunters and vampires, Samuel must choose where his loyalties lie. The decisions he makes not only threaten the lives of those he loves, but determine if he will ultimately be forgiven. This is the third book of the trilogy. I have been told that it can be read as a stand alone, but it is also a wonderful conclusion to the series, which explains many of the mysteries from the first two. For hope was absent from this place—if it was a place ... or a time ... or somewhere between times and places. The emptiness felt like an enclosed tomb and yet also seemed to stretch on forever. Thanks for that link. I’m sure many of my readers will go straight to it. How can readers find you on the Internet? I’m also on Goodreads, Facebook, Pinterest, and Twitter! Thanks for having me here today! Blessings to you and your readers! It’s always a pleasure hosting you on my blog, Leanna. Melanie (TX) is the winner of Gunpowder Tea by Margaret Brownley. 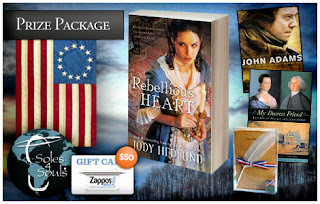 Kristie (OH) is the winner of Rebellious Heart by Jody Hedlund. Martha (WI) is the winner of Born of Persuasion by Jessica Dotta. Julianna (PA) is the winner of A Place of Refuge by Janet Lee Barton. Sharon (SC) is the winner of The Linen God by James O'Shea.